The third major shock to my spiritual system occurred on the evening of Friday September 7th, 2012. The scene was an Indian cafe in Wembley, north London, and sitting across from me was my friend and colleague, Todd Acamesis. An American by birth, he’d already established himself as a pioneering out-of-body – or OOB for short – explorer in the UK. He and I had met around eighteen months before at a party, and we hit it off straight away. For some time prior to that I’d felt there was very little that could alter my spiritual worldview. There might be occasional tinkering at the edges, but nothing that would force me to make significant changes – it was rare even for me to get excited by any spiritual books or talks. Yet when Todd started describing his OOB research that night I was spellbound. I’d read Robert Monroe’s pioneering Journeys Out of the Body, but here were new ideas that I’d never encountered before. I felt energised but also a little apprehensive. Some of these ideas were so revolutionary I wasn’t sure how well they meshed with the neat little framework I’d spent years putting together, which wrapped me in its cosy cocoon just like a comfort blanket. 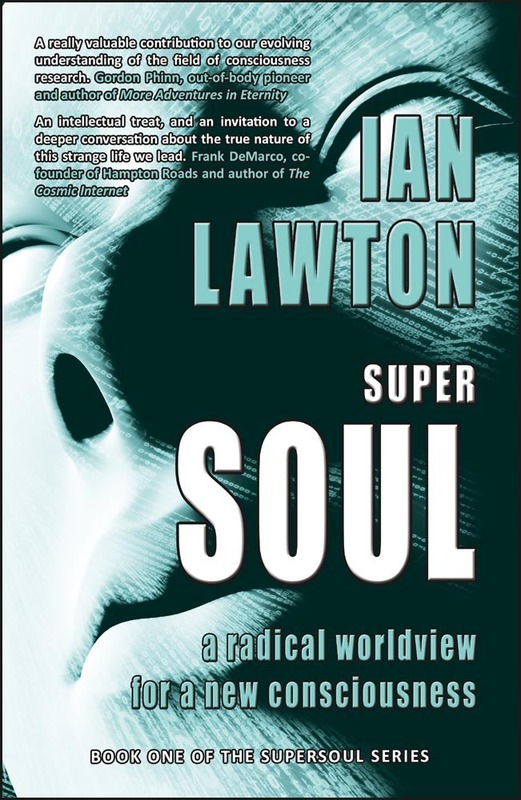 By one of those wonderful synchronicities we learn to appreciate deeply, when someone mentioned I was the ‘famous author’ Ian Lawton – something of an exaggeration but never mind – Todd strode out of the room and returned carrying his rucksack. “Well how d’ya like that?” he beamed, pulling out a copy of my Wisdom of the Soul. “I was searching my shelf for a book to read on the train, and this just jumped out at me! I’ve had it for some time but never picked it up before.” After what I’d already heard from him I was none too sure that my use of the word wisdom was appropriate, but he politely waved away my concerns. We agreed to meet in a pub in central London a few weeks later so we could talk some more. As he drew diagrams on scraps of paper about the different planes of our ‘human hologram’, and so on and so forth, I began to feel like a beginner again – not least because, instead of just theorising about them as I did, he’d actually visited them and experimented in each. Despite my concerns about my newly discovered limitations, he even invited me to speak at one of his weekend OOB workshops. I agreed provided he let me attend the whole event. It was a fascinating experience, but I didn’t manage to get out of body then or during the month of regular practice that followed. I think it was a through combination of shame that I’d given up so easily, and of fear that much of what I thought I knew might need to be revisited, that Todd and I lost touch after this. I got occasional mailings from him, and sometimes replied to congratulate him on the way his ‘Journey of Truth’meetup group in London was expanding and achieving wonderful things on the ground. He had hordes of people meditating and manifesting all over London, and they were clearly having huge fun into the bargain. Indeed, because I’d been experiencing what I think it’s fair to describe as an ever-worsening ‘dark night of the soul’ since we met, it was all I could manage not to be jealous. Finally I wrote to Todd to get his views on our conflicting experiences, and he immediately replied that he’d get down to see me as soon as possible, which was extremely kind. As it turned out he struggled to make it to the wilds of North Dorset where I was living at the time, but he encouraged me to visit him in London. I was still apprehensive. I knew we’d be bound to start talking spiritual frameworks again, and that there was a good possibility I’d have to massively alter my own. Around this time I was visiting a friend for some shamanic energy clearance and she convinced me I needed to pick up the baton again and face my fears. Thank heavens she had the foresight and intuition to push me in such an important direction. I’d pretty much brushed my previous discussions with Todd under the carpet in the intervening period, but now I dusted off the list of questions I’d prepared for him after our initial meetings. I tweaked them to allow for certain things I’d learned in the meantime, and then I was off to London. I rode up on my classic old 750 Honda that I’d rebuilt in the winter, arriving at his flat with eyes on stalks from negotiating London traffic on a bike for the first time ever. Unabashed he immediately thrust me under his newly acquired ‘lucid light’ machine, despite my protestations that I was quite spaced out enough already. Nevertheless it was an interesting experience and we soon found ourselves relaxing in each other’s company as if there had been no interlude. Somehow I just knew that was what he was going to say. In fact deep down I’d known he was right in his identification ever since he’d first mentioned the idea. I just hadn’t wanted to accept that everything I thought I knew – that whole comforting, simple framework of spiritual understanding I’d spent more than a decade developing – was only scratching the surface. But now it was all out in the open, fully in my conscious awareness. Now all fear fell away. Of course it didn’t mean everything I’d written before was necessarily wrong, it had just represented a certain level of understanding. So now it was time to push on again into what was, for me at least, uncharted territory. For anyone who’s interested, my experiences and what I learned from them are recorded in one of my small pocket books called The Gift.